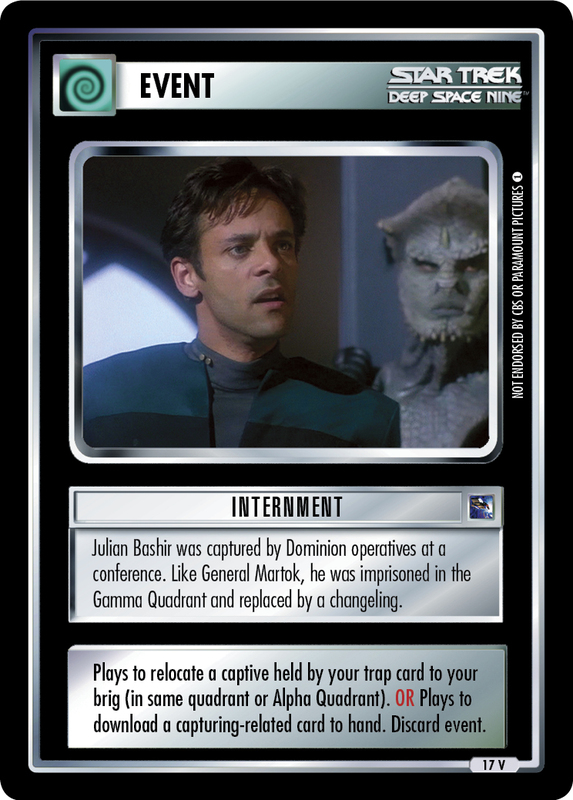 After the Cardassian occupation, many Bajorans wished to rid themselves of all alien influence. 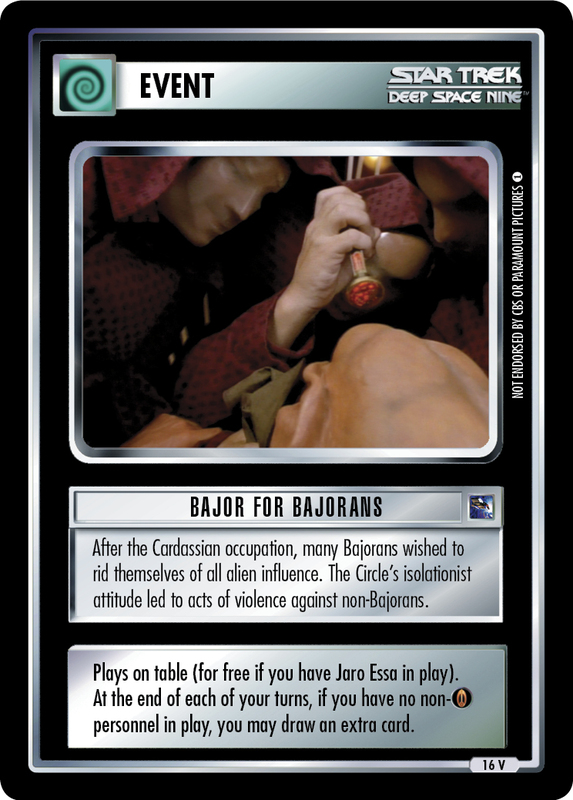 The Circle's isolationist attitude led to acts of violence against non-Bajorans. Plays on table (for free if you have Jaro Essa in play). 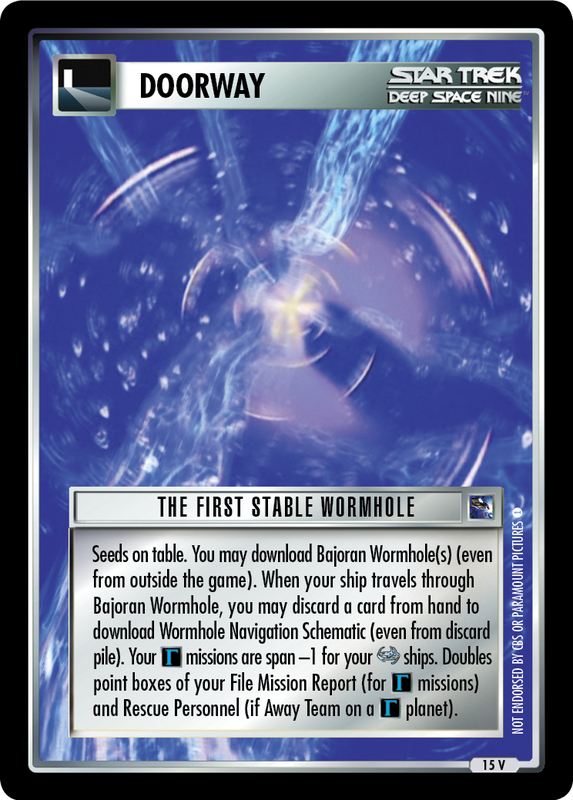 At the end of each of your turns, if you have no non- personnel in play, you may draw an extra card.